When you sit, sit. When you browse Twitter, browse Twitter… Maybe there’s a reason social media causes stress. 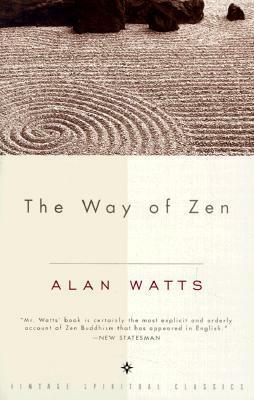 The Way of Zen by Alan Watts is an introduction to Zen Buddism and its roots in Taoism and Mahayana Buddhism. It was one of the first books of its kind and tries to explain “Eastern” concepts to a “Western” audience. After my forays into various “Western” philosophers and philosophies, I thought it was time to investigate some others that weren’t just footnotes to Plato. Having already read the Dao De Jing and a more modern guide to Zen, I thought reading a bit more on Zen would be interesting. Watts certainly covers some quite different ground to Zen in the Age of Anxiety and puts the Dao in more context. This was certainly less of a philosophy text and more of an overview or introduction to Zen. One of Watts’ central aims was to make sure the reader understood how the “Western” philosophical tradition has a strict adherence to certain logical structures which the “Eastern” philosophies like Zen do not. This was certainly an important distinction and something that must have helped popularise Zen Buddhism outside of the “East”. I will have to explore this topic further. Previous Previous post: Book to Movie: Mary Poppins – What’s the Difference?